The details for the 2nd Annual Slow-Pitch Softball Mixer for the Children's Miracle Network are set! (Mostly.) As an added bonus, we'll be celebrating my wife Heather's dirty 30th birthday! It's a little early, but being such a stand-up person, it would mean the world to her to dedicate her birthday efforts toward a good, fun cause. Last year we raised $475; this year we hope to exceed $500! Here are the details, also shared on the Facebook event page (which is not public, but allows invitees to invite there own friends). - Water coolers & cups. However, if you're a little short this month, don't sweat it; you can still join us for the fun and raise awareness for the cause. Sign up early for a T-shirt! Again, 100% of donations go directly to the Children's Miracle Network, specifically in support of the KU Med Center! Donate the day-of (cash or check), or online today! The first 20 people to sign up/donate online in advance get a T-Shirt! Let me know when you've paid your due and tell me your T-shirt size! 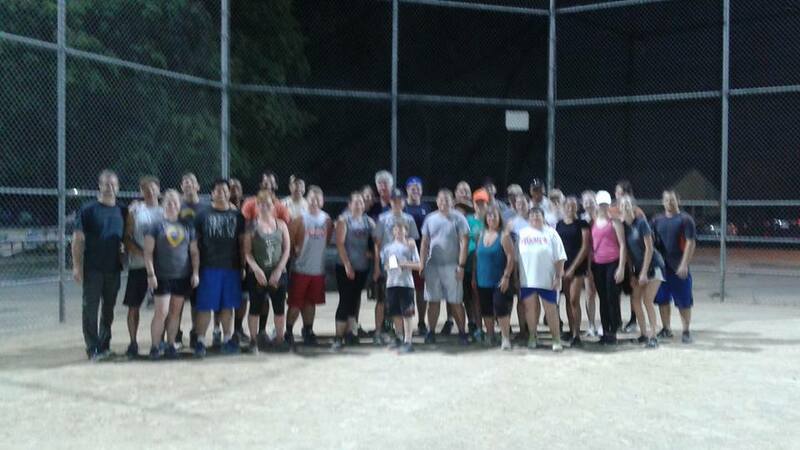 We'll mix up at random into 2-4 teams (pending attendance) and play good-old fashioned, super casual slow-pitch softball in 1-hour increments until 11:00 pm, or everyone's tired (whichever comes first). We have the field from 3-11, but plan to start actually playing closer to 4:00 pm and have food out by 5:00 pm. Feel free to BYOB also, but no glass bottles please! If we get bad weather (like last year, before rescheduling), we'll hang out in the park gazebo and simply eat, drink and play games.